If you work in the video surveillance and security sector, chances are you’ll be familiar with the name Mobotix. Now in its second decade, the German IP camera and software specialists has made a name for itself developing the first decentralised IP camera and supplying the Mount Everest webcam. 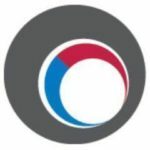 Contrary to popular perception as a hardware provider, the company sees itself as a software specialist with in-house hardware development of digital, high-resolution and network-based video security. It produces complete systems using a single source. The publicly traded firm with headquarters in Langmeil, Germany, is known for its network camera technology. The company was founded in 1999 and in the same year released the industry’s first decentralised IP camera. Its Linux system contained video, alarm, and recording management functions in one unit, thus doing away with the need for licensed video management software to handle the recording event. Since then, the decentralised concept has been further developed to make high-resolution video systems more cost-efficient as the cameras themselves execute video analysis and event detection internally, and manage their video ring buffer on a NAS or server by themselves. This is said to reduce the workload of the VMS workstation and network considerably. Network ﬂuctuation or longer interruptions are compensated by an onboard video buffer SD card. As a result, Mobotix camera systems are claimed to be reliable while needing fewer servers and workstations, and less network infrastructure than other brands. The company says this reduces the overall system cost as well as power consumption. Encrypted recording by the camera itself is claimed to guarantee data security and privacy. Of similar ilk is the company’s M12-type model that serves as the world’s highest webcam on Mount Everest. Powered by solar cells and operating from 6am to 6pm local time, it’s capable of operating at temperatures as low as −30 °C and broadcasts live high definition video worldwide via the Internet. Located at an altitude of 8,000 meters, it works in conjunction with the Everest weather station to provide scientists with details of climate change. Thus optimised for remote applications and cloud-based technology, the company’s systems seem to be capable of reducing video bandwidth by scaling size and frame rate. Image detail is preserved via onboard ‘Virtual PTZ’ functionality which stores high-resolution video in-camera and delivers low-bandwidth live images and playback on demand. In addition, Mobotix cameras are said to be able to manage an event-driven video ring buffer via a network or the Internet. Live and recorded video can be secured via in-camera video encryption. 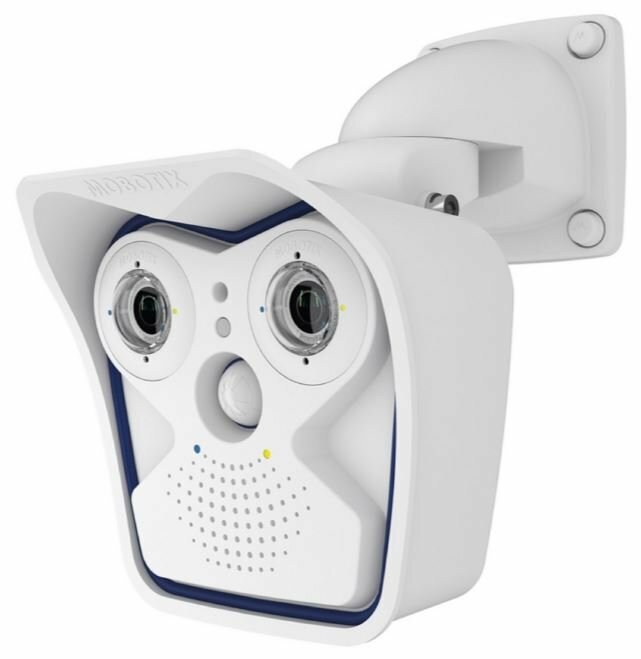 Since 2010, Mobotix has extended its product range to include intelligent home automation. From the first autonomous IP cameras released at the beginning of the millennium, systems have been equipped with CMOS sensors without any moving parts, said to improve backlight recording and long term reliability. Two-way audio with VoIP messaging and phone connectivity using the SIP standard is included alongside weatherproofing and IP66 protection. In 2015, a new range of competitive 6-megapixel indoor cameras for ﬂexible ceiling and wall-mount installations was launched. A fish eye lens on the hemispherical device is said to be capable of covering an entire room without any blind spots while the company’s ‘Moonlight Sensor Technology’ is claimed to be light sensitive enough to produce high-quality videos without motion blur even in low-light conditions. Other industry staples the company specialises in are interchangeable lenses, motion analysis and object statistics. A change of optics can be performed by customers themselves for most models. Camera positions can be changed and the optics adjusted according to the new mounting location. As the choice of lens dramatically varies the scope of a camera, using a super-wide angle lens, for example, enables an entire room to be monitored from a corner. In turn, telephoto systems can capture details at longer ranges such as a number plate or the facial characteristics of a person. High quality HD lenses are said to fit different Mobotix camera series, and are backwards compatible with older models, even though the area captured by the lens may slightly differ with the image sensor installed in the camera. 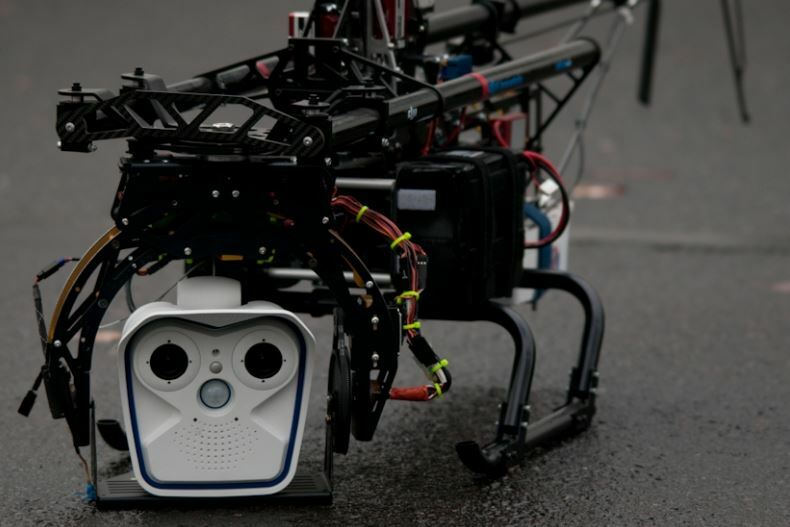 Mobotix also offers motion analysis for its systems. Its ‘MxActivity’ sensor is said to only record video or trigger alarms if an operationally important event occurs. Interference caused by moving trees, shadows, passing clouds or snowfall is ignored; automatic configuration means only the objects’ direction of movement needs to be selected. a major upgrade on its previous iteration, as well as an update to the MxMC 1.3 Video Management Software. As for object statistics, the firm’s cameras seem to be capable of a range of operations. By defining ‘counting corridors’ in a shopping mall’s camera feed, for example, shopper numbers can be determined over the course of a week. The camera records how often each counting corridor is crossed within a specified period. The reliability of the count depends on the similarity of the sizes and shapes of the persons or objects in the image, their relative distance, how effectively they can be visually distinguished from their background, and how close the counting corridor is to the centre of the image. 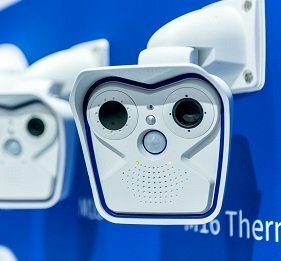 Mobotix cameras: the ‘decentralised’ security camera and software specialist Now in its second decade, the German IP camera and software specialists has made a name for itself developing the first decentralised IP camera and supplying the Mount Everest webcam. Great news to hear. The techonology is developing very fast. Also, http://truyenfull.vn/the-loai/ngon-tinh/ is a great place to read Chinese (translated to Vietnamese) romance stories (novels). Tips: Just go here http://truyenfull.vn/the-loai/ngon-tinh/hoan/ to read completed ones.